One of my go-to marevas. I always make sure I have a few cab’s of 50 on hand of various vintages because I get the urge for one of these at least once a week. This cigar needs at least a couple years of age of aging–but when it reaches that point, it can transforms into a truly magnificent smoke. The wrapper is somewhat rustic, tends to be on the darker side of colorado, and always has a nice glossy sheen. Each cigar has that unmistakable gilded label that reminds me of a royal crown. I have never had a badly constructed one, and the draw is almost always perfect. Consistent. The wild card is how their flavor changes with time in the box. They are a moving target. This happens with most cigars (they change in taste with each year or so of aging) but the PLPC’s can change in taste every few months–literally. It keeps it interesting–but remember if the taste shifts somewhat away from your liking, give them 6 months or so and re-taste. 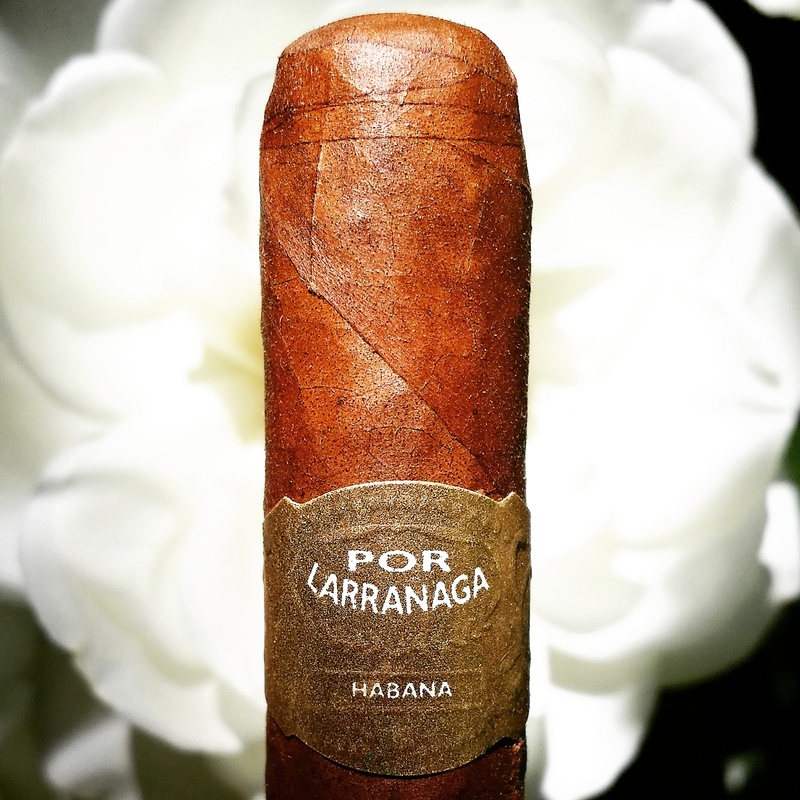 What I love about this cigar is the classic Por Larranaga flavors of caramel, yeast, rice, toast, and toffee. A bit El Rey Del Mundo – esque, but with more body and more medium in flavor. I love the feel in the hand– firm, weighty, and perfectly round. And they tend to have a dry finish that lingers pleasantly long after you are finished smoking.